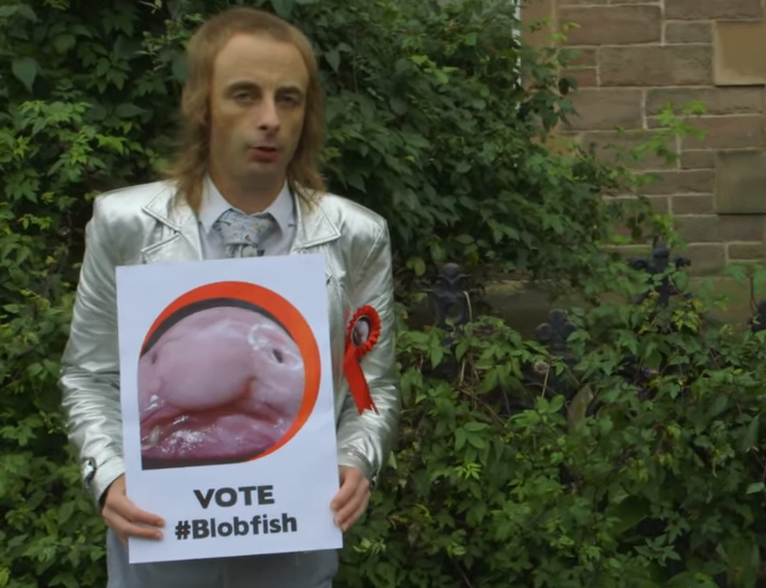 Paul Foot has recently appeared in a video for the The Ugly Animal Preservation Society in support of the Blob Fish. The gelatinous fish that inhabits the deep waters off the Australian coast is under threat of extinction. By voting for the blob fish for the next Society mascot, you can help raise awareness of its plight. As Paul says, it looks like it has a kind and wise brain., so it’s worth saving. Take a look at the video below, then ‘like’ it on youtube to cast your vote. Voting closes at 5pm on 11th September. The campaign is run by the National Science + Engineering Competition and the Ugly Animal Preservation Society. To see more videos about endangered ugly animals have a look at their youtube channel.